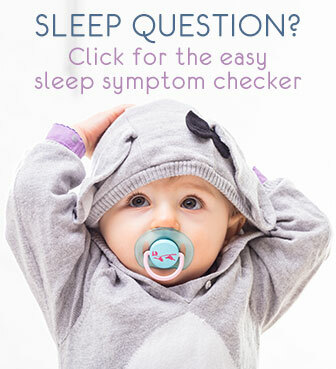 Let's continue the checklist for helping you find out why your baby is waking up so frequently (every hour, every 45 minutes, every 2 hours, ...). Remember to go through every single possible cause because even the possibilities that you don't really expect or notice upfront may be exactly what is playing. Whether you observe teething clearly with dribbling, sore gums, flushed cheeks or it's hidden with your baby cranky for seemingly no good reason: teething can and does cause frequent (as in every hour) wakings, almost always with crying due to the general discomfort and pain. Although teething pain doesn't stop during the day it's mostly at night - without distractions and parent soothing nearby - that babies suffer. Verify for (hidden) teething signs and remedy as much as possible. There's no way around it, self soothing is the unmissable key to sleeping through the night. If your baby is unable to settle independently and so hasn't learned to sleep through a cycle, she'll lightly wake up completely in-between sleep cycles (typically this can be every hour). Weaning from helping with settling is doable, whether you're usually holding, rocking, nursing, sitting next to, .... And: there's never need to let your baby cry, let alone cry it out! To get long-term results though, you'll want to work with gentle and progressive techniques: they give your baby's body and brain the time to truly learn the skill and do it happily for the rest of their lives. My award-winning self soothing program helps you use these gentle techniques most efficiently. Even if you're unsure whether this is the main cause for your baby to wake up every hour, always work on settling independently because without it there is little hope for progress. Some environments are too restless to allow for uninterrupted sleep. 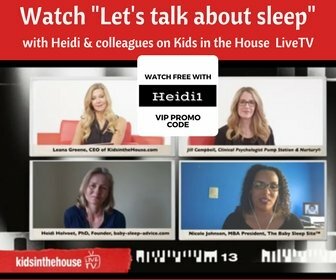 As an adult you may have gotten used to the sounds, but lots of street or neighbor noises, loud TV sets or just a lot going on in or around the house, can seriously disrupt a baby or toddler's sleep patterns. Take away all sources of noise and activity that you can, even if it inconveniences you. It may only be necessary for a couple of weeks, once sleeping is better, you will be able to relax about it again. For noises you have no control over, a white noise machine in the bedroom works wonders: the soft background blocks out unwanted, irregular, hard, disturbing sounds and gently soothes at the same time. Over-tiredness, under-tiredness, new skills & developments, stress picked up during the day and anxieties are a couple of the processes a baby can go through, and they keep her body and brain very active, also when she's supposed to sleep. Over-tiredness is a special one, because an over-tired child will often not seem tired at all, on the contrary after having caught their second breath, they seem more active and energetic than ever. And under-tiredness can be hidden too, as an under-tired baby is usually very content all through the day. It can be a delicate balance so always be on the lookout for signs of over- and under-tiredness. Being over/under-tired is only remedied by properly balanced sleep so well-suited naps will be important. For other causes of an over-active body and mind, a nice full hour wind-down before bed, with pleasant, cosy and relaxing together-time in dim light can make all the difference. Most mild illnesses or discomforts (cold, minor virus infection, teething, bruise after falling, ...) are felt more at night than during the day. During the day there are more distractions and there is usually immediate and constant comfort thanks to parent or carer presence. But at night, alone in the dark even weak teething pain or unease during a cold, can feel much worse, and simply keep baby from sleeping through. Lots of waking up, with crying, often surprise parents to a baby who seems perfectly fine all day. Browse through the solving causes of poor sleep section to relieve maximally. Another type of physical discomfort is when a nerve and or bone got stuck (often during difficult or lengthy births): that can simply make it painful to be lying down, in whichever position. Verify the osteopathy checklist to see if that could be applying for you. 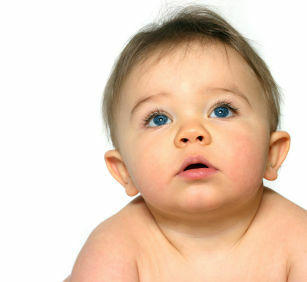 Stimulating food and foods to which the body is allergic or intolerant, disrupt a young baby or toddler's sleep. This includes short naps and frequent wakings at night, usually with crying out of discomfort. When breastfeeding eliminate stimulating foods from your diet, and once started on solids avoid for baby to have sugary foods or drinks, chocolate, non-herbal tea and coffee from the early afternoon onwards. Discuss with your doctor or ask me if you suspect allergies or intolerances. Young babies easily get stuck in sleep patterns other than their good natural ones. These are grown-into patterns that we do not want, such as waking up hourly. The most typical stuck sleep pattern is that due to hunger. Whether feeding out of need or comfort, a real hunger feeling does cause a baby to wake up. Ill-fitting naps and nighttime bedtimes can also push a baby or toddler into unlucky sleep patterns. And even without a specific origin, getting into a pattern sometimes simply happens. Reversing stuck sleep patterns, like breaking with a bad habit, usually is not easy. The techniques require patience and caution: how sleep is arranged in the body is a delicate balance, to which we'll do more harm than good if not treading carefully. 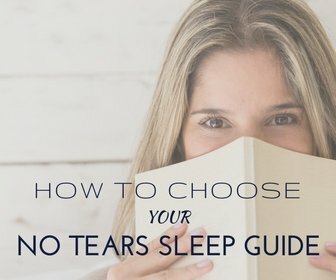 For the specific techniques for keeping asleep, altering stuck patterns for frequently waking up and sleeping longer in the morning, you will find my No-Tears Sleeping Through e-book helpful. Or, with an even more comprehensive action plan specifically designed to reduce frequent nightly waking, my Overcome Frequent Waking e-book will give you the precise tools you need to achieve exactly that.